I like moving parts. When looking through an art journal or scrapbook, it’s fun to find something that moves! This page includes a Pop-and-Twist pop-up that unfolds before your very eyes as you open the page. 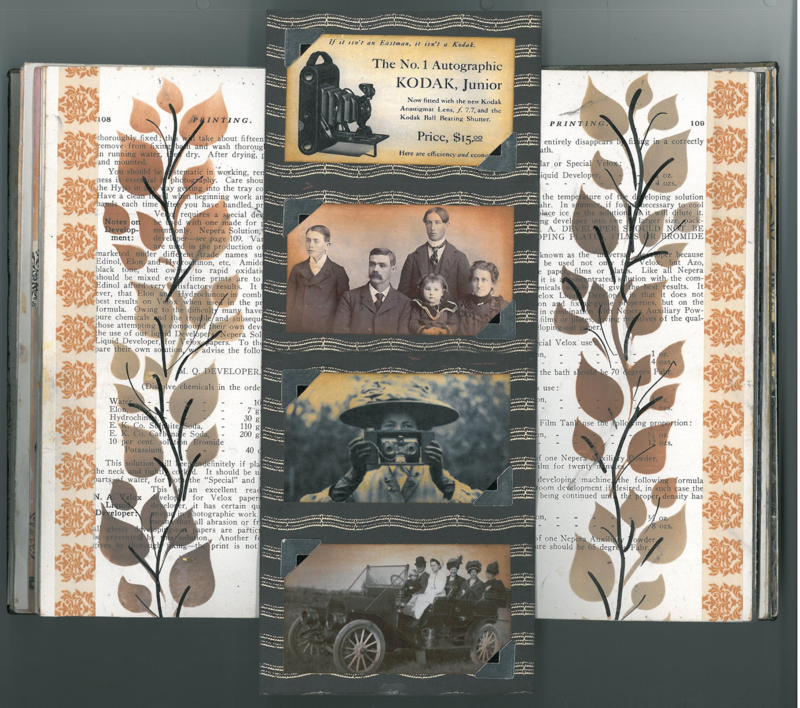 The pop-up on this page includes 4 images that I mounted to double-sided cardstock. I embellished the edges using washi tape and a stenciled leaf and vine pattern using blending tools and Distress ink. Do you agree that movement makes a page more interesting? (By the way, there’s still room in Saturday’s class, in which we’ll make a birthday card using the Pop & Twist technique! You’ll go home with a completed card, as well as step-by-step instructions that explain how to use this technique in other projects. Message me if you’re interested in attending this class, 1:30 – 3:30 pm on Saturday, October 21st in North Vancouver).